The McGangbang is a delicious concoction. 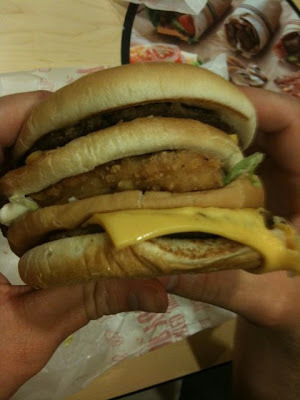 And I am 100% going to try that six-pattied monstrosity in the near future. Three patties, actually, but who's really counting at that point? That's like me saying "I will kill you with a 3.8 gigaton nuclear warhead," and you responding, "Nuh-UH! It's only a 3.6 gigaton warhead!" 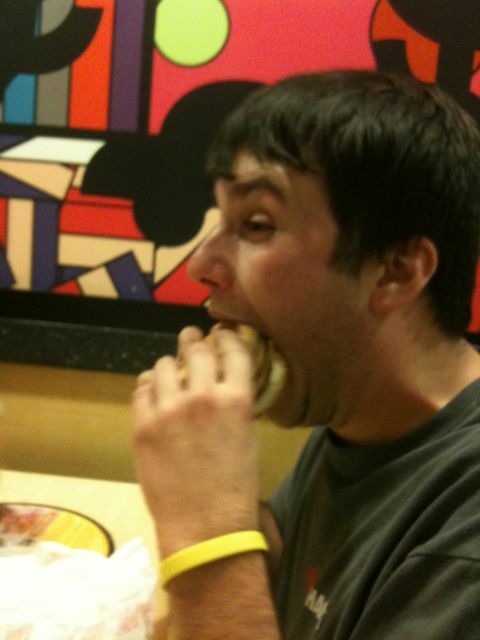 No, I meant the Wendy's one, not the McGangbang. Oh, yeah, the sextuple isn't legally sellable. It's like a lawsuit with lettuce and extra pickles. Gotta make that one yourself.